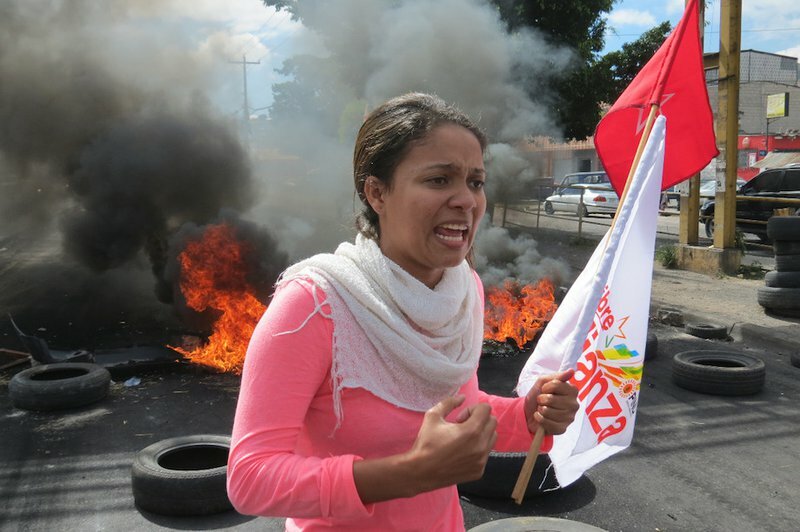 Honduran woman at anti-fraud protest in Tegucigalpa (December 2017). © Giorgio Trucchi / Rel-UITA. Accepting Hernandez is accepting four more years of state-sponsored violence, impunity and corruption. Meanwhile, the Honduran military police are carrying out targeted attacks against protest leaders, journalists and human rights defenders in the wake of the post-electoral crisis, according to a leading Honduran human rights organisation, COFADEH. Thirty-four social leaders have been forced to leave the country or relocate due to political persecution. COFADEH documented excessive use of violence strategically used against protesters to instill fear and squash dissent. They cite use of torture, kidnappings, arbitrary detention and extrajudicial killings, among many other tactics. Thirty people were killed and hundreds gravely injured during anti-fraud protests between November 30 and December 31, mainly at the hands of the military and special forces. Protesting fraud on National Women’s day in Honduras (January 25). “JOH is not my president he is a traitor to the nation.” © Giorgio Trucchi / Rel-UITA. Honduran military police are notoriously corrupt and overwhelmingly implicated in egregious human rights abuses against indigenous leaders, trade unionists, journalists, land-rights activists and lawyers. 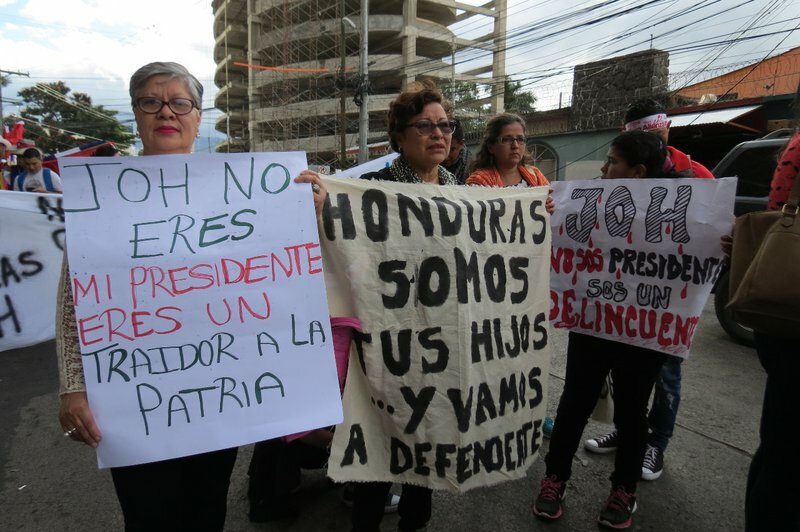 The Inter American Court of Human Rights (IACHR) described Honduras as “one of the most hostile and dangerous countries for human rights defenders”. Hernandez himself has repeatedly and publicly charged human rights defenders with undermining the country. Just last year, his administration revised the penal code to criminalise anti-government protest and anti-government media coverage as acts of terrorism.